Seriously, I was really scared to test this foundation because it was written all over the tube --- #NeverFail Foundation for OILY SKIN! 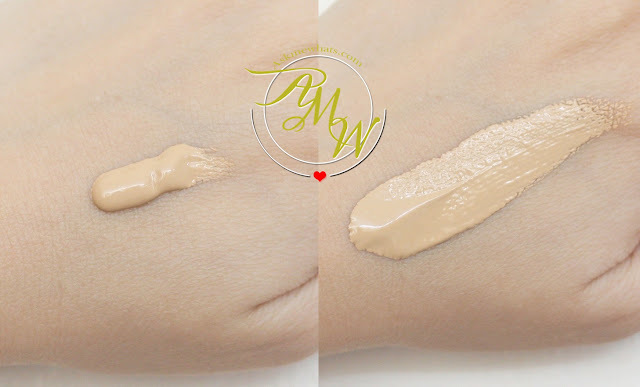 But for the sake of review, I actually tried this foundation for a week, wore this under the sun, while driving, while chasing after my son at High Street and all I can say was.... "I am SHOCKED!" Note from Author: Though I have Normal skin now, the result could be different if weather gets a bit cooler, my skin tends to get "dry" on colder months, this must work really well because it's hot and humid! That said, this is really a perfect summer foundation! L'Oreal Paris finally brought in the most-awaited, most sought-after and most requested product --- the Infallible Pro-Matte 24HR Foundation. This particular foundation if I may have to repeat, is suited for OILY skin, but I'm sure fellow normal/dry skin girls and boys out there would like to hear what I have to say about this particular foundation. I got the shade 105 Natural Beige as my perfect match! There are a total of 6 shades curated for Filipina Skin tones. L'Oréal's Infallible Pro-Matte 24HR Foundation has an air-light texture with a demi-matte finish. This super gliding mattifying formula has a high water content for maximum comfort that lasts! Tube packaging. So easy to dispense the amount of product needed. Surprisingly hydrating and non-drying even on user with normal/dry skin. Doesn't feel a thing on my face. So lightweight I don't feel like I'm wearing foundation at all, even on hot summer days ! Nice shade selection. Easy to find my perfect shade match. Gives medium to medium high coverage. Will enhance "flaking" if you have dry patches. A bit difficult to blend if used with dry sponge, fingers or foundation brush. You have to work quick in blending to prevent foundation from looking "patchy". 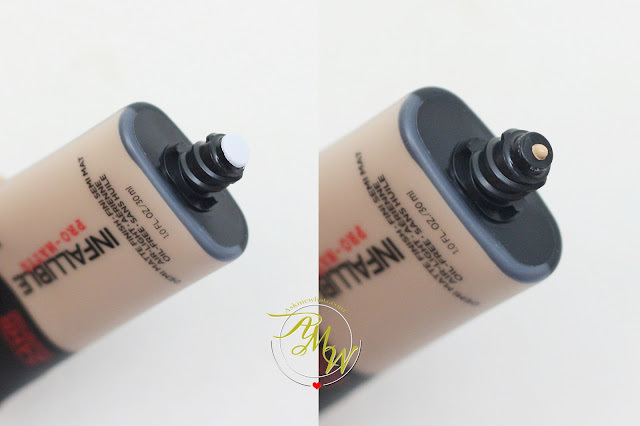 A super nice coverage and finish foundation that works even for daily use (due to its' lightweight feel). Best used with wet sponge for easier blending. You have to work really fast as this foundation dries and sets pretty quickly. If you have normal or dry skin, you can only set areas with a powder that tends to "oil up" and leave the other areas alone as to prevent dry patches. If you have oily skin, set with oil-control powder or L'Oreal 16HR Pro Matte Powder, it's the best match! Apply with dabbing motion instead of rubbing. Since this won't probably work as well on colder season, I don't mind recommending this and repurchasing this for others to use. Normal, combination and oily-skin users! At local L'Oreal counters priced at Php700.00 per tube. I like to apply a good amount all over face using my clean fingers. And blend using a wet sponge. Coverage: Undereye, redness from the sides of my nose and around the lip area. Skin looks more even and matches my neck. You can actually see how it can cover a bit of my undereye darkness, I use less concealer with this foundation giving it lesser chance to cake. I also like how my skin looks like "skin" and I don't look like I'm wearing any foundation at all! Left facing you with Pro-Matte card: AMW wore a layer of 105 Natural Beige. I will be announcing my IG contest for L'Oreal Infallible Pro-Matte 24HR Foundation! after reading this review and seeing photos? I've always wanted to own this foundation eversince I saw it on Youtube from a Filipina vlogger. I do have an oily skin (all day, errday!) and I know that it will work for me. i want to achieve the "no hulas look" hehe!. The thing is it's available only online (before) and it's quite pricey for me. I'm a housewife, but still I want to look good and presentable when I go out. That is why I'm trying my luck on giveaways..hehe! Well, I might just save for it and look out for L'oreal sale. The most talked about foundation especially for those who have an oily skin like me :) I've been waiting for this to become availabe on drugstore counters and now they are:) I know this will be the perfect foundation for me!!!! I failed to join your previous giveaway:( and sadly will not have a chance to receive one tube from you, but I hope I will see you in Row 101 bazaar and take a picture with you!GODBLESS! Tagal kong hinintay dumating dito yan dahil hirap akong maghanap ng foundation na pwede sa kagaya ko na oilyskin excited akong masubukan yan naghntay akong mareview dto yan di ko din sya mabili sa online kse a bit pricey gusto ko mtry yung no hulas make up.. I repurchase this 3 times in shade Golden Beige thru online re sellers, only to find out that my perfect match is Sun Beige when I got the chance to swatch it at local loreal counters lol! I think this is one of the best foundations you have reviewed so far. It photographs really well and the shade is on point. Amazing. If I get over my fear of L'Oreal foundations, I will give this a try. Their True Match line broke me out horribly. I hope this infallible line is gentler. i havent tried this one pero sobra syang nirerave ng beauty vloggers! thank you for sharing your experience on this foundation ms nikki!